Celebrate your wedding destination in style! Congratulations! If you are here it is because you have decided to get married! After your initial engagement excitement now comes the even bigger exhilaration of planning the perfect dream wedding. Organizing your wedding near home can often be challenging and time-consuming, let alone in a foreign country. 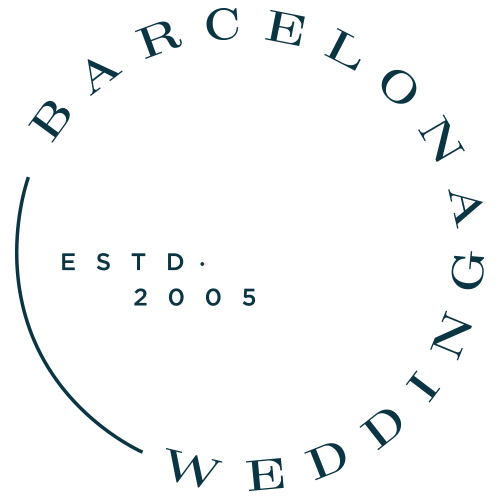 Our role at Barcelona Wedding is to take you by the hand and assist with any and all aspects of the wedding/event planning. We offer many levels of service and no task is too small. We pride ourselves in our ability to create trusting relationships with our couples, advising and guiding you over the logistical, cultural, language and geographical hurdles to create THE BEST DAY of your lives! weddings in Barcelona. We went with our instincts and put our trust in you to organize everything and are very glad we did! You put options and choices to us that very much suited our personalities and what we had envisaged for the day/weekend in Spain. It all came together perfectly and you helped make it a very special time for us, our families and friends. Our wedding was everything we hoped that it would be. We aimed to have a wedding that was relaxed but that was classy and a cut above the standard wedding – the food, the music, the weather and the amazing venue fed into this and people still comment on what a fantastic weekend it was. It’s a perfect place to have a wedding- we didn’t need cars, it was near the beach in a stunning area.